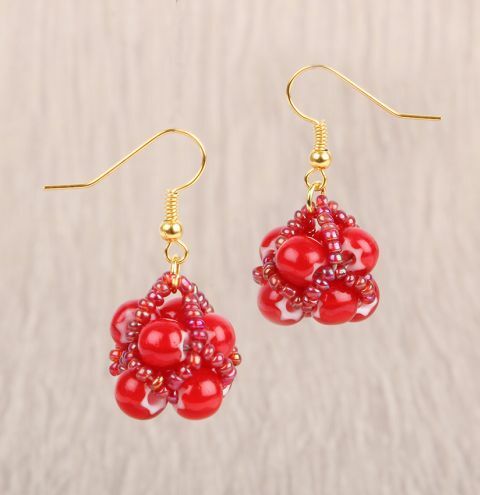 Make a pair of juicy earrings with Preciosa Cornelian Star beads from the clearance! Cut a 50cm piece of thread. String the following beads: glass, seed, glass, seed, glass, seed, glass, seed. Go through the first glass bead and draw the beads into a base ring 20cm from the end of the strand. Tie the ends in a knot. 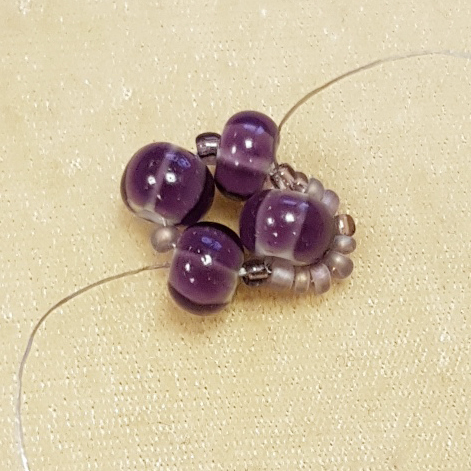 Pass through the next seed bead in the base ring. String 9 seed beads and pass through the next seed bead around to form a seed bead loop. 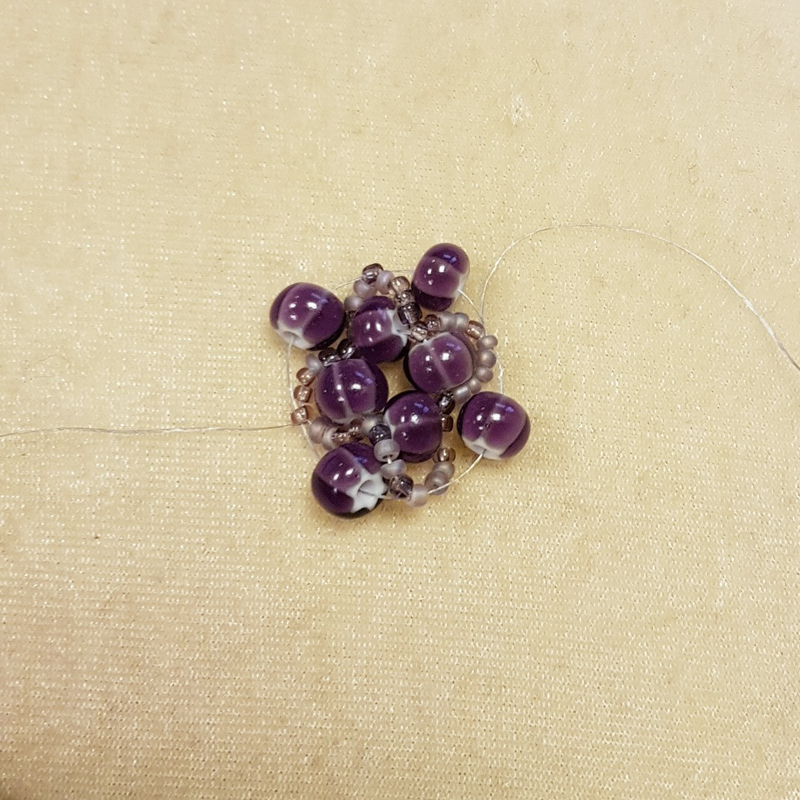 Continue around the seed beads on the base ring adding 9 seed beads between each. 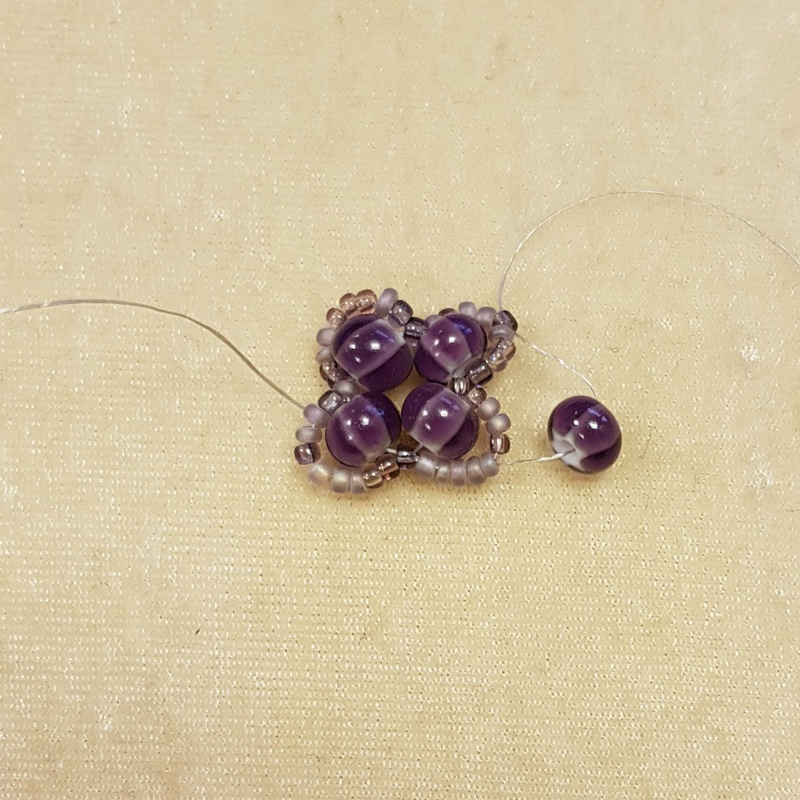 When you add the last loop, first pass through the seed bead on the base ring then push the strand up through the first five beads on the first loop added. String one glass bead and pass through the middle crossover bead in the next loop. 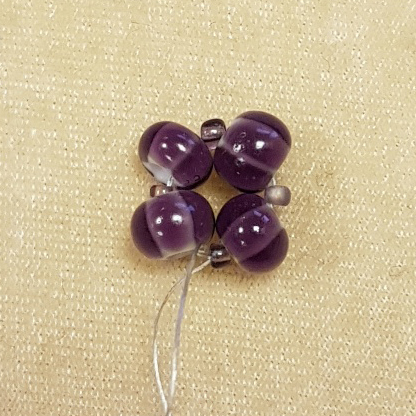 Repeat to add three more glass beads. Finish by passing through the middle crossover bead in the final loop so that you’re ready to add the next set of loops. Now give the strand a good tug so that the beads are pulled up into column and the seed beads form a zig-zag pattern. Weave your needle through the top ring again to reinforce the shape. Tie a few half-hitch knots as you go. 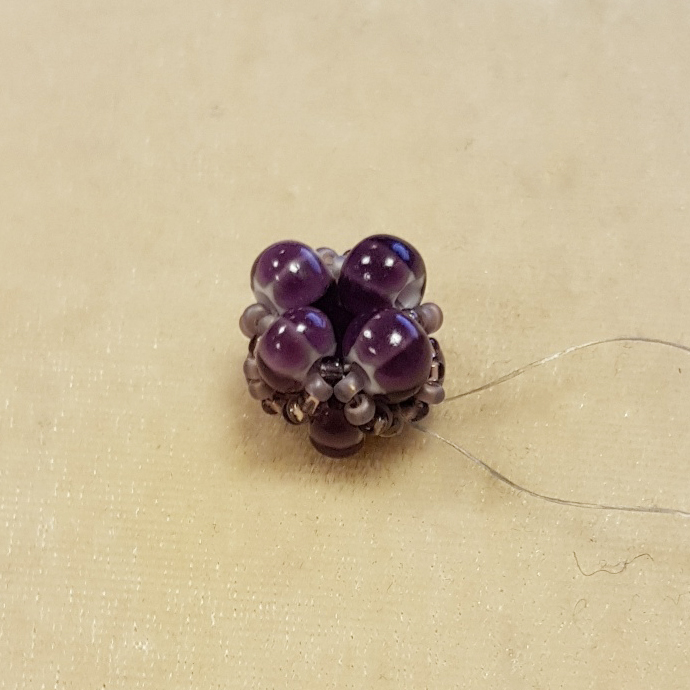 Bring the needle through one of the seed beads on the top ring. Add 12 seed beads and pass the needle through the seed bead diagonally opposite. Pass the needle through the next star bead and seed bead. Add five seed beads, go through the seventh bead of the strand you just made. Then add another five seed beads and go through the seed bead on the top ring to make a cross shape. Weave your needle through around the top ring and reinforce secure your thread with a few half-hitch knots before trimming away your tail thread.